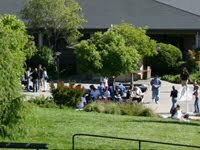 This information is intended to help you configure Cabrillo college secure email on your Android. We do not provide support for configuring email on your Android. However, we have provided resources here to help you configure your email account on your own. How to configure your Cabrillo email on an Android device. learning how to configure email on your make and model of Android. configuring your Android for email access to your cabrillo.edu account. TIP: this website contains instructions specific to your make and model of phone.